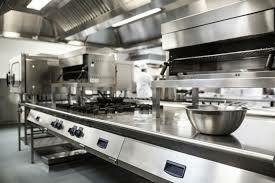 VISION: To be the leading and trusted name for Commercial Kitchen and Laundry Equipment in the Middle East. MISSION: Continuously Strive towards providing the most suitable solutions to our Valued Customers, fulfilling Quality, Cost & Time Objectives. MODERN KITCHEN EQUIPMENT COMPANY was established in 1992, to meet the demanding requirement for Quality Commercial Kitchen & Laundry Equipment in the U.A.E. Market. with a focused Vision, dedicated work force and many renowned brands under its Umbrella, MKEC has established itself to be a key Player in the U.A.E. market, in very less time using our Expertise and Extensive Relationships in the Food Service Industry, We offer Product that anyone who is an Avid Cook can be Proud to Own. Our Client Portfolio showcases a large Variety of Satisfied Hotel Chains, Restaurants, Catering Companies, Palaces, Laundries and Numerous other Commercial Facilities. From Beginning to end, MKEC is the Key that will make your business more Successful than Ever!